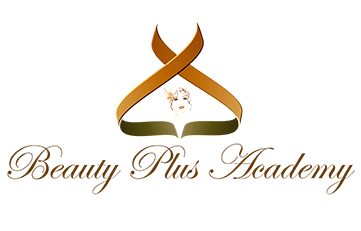 Beauty Plus Academy is committed to the best Permanent Make Up services to its clients, and the best learning experiences to its learners. We are member of leaders of in the Cosmetic Tattoo Industry, the Society of Permanent Cosmetic Professionals (“SPCP”) and the American Academy of Micropigmentation (“AAM”). Membership means we offer permanent cosmetics in accordance with safety standards specific to the permanent cosmetic industry. We stay abreast of and participate in industry activities and continuing educational opportunities. We follow the SPCP and AAM Code of Ethics – their principals to ensure quality, consistency and integrity. For instance, we only offer procedures by our technicians after they have had hands-on training; our people recognize the importance of continuing education to upgrade and improve their knowledge and skills; and we will only use products that are professionally manufactured and follow all regulations for their use. Beauty Plus Academy is striving to provide the best learning experiences, and supports the professional artist technicians with our experienced Certified Trainers and the strongest curriculum in Micropigmentation, or Permanent Makeup industry. 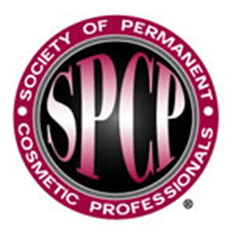 Our trainers, and technicians are members of The Society of Permanent Cosmetic Professionals (“SPCP”) and/or the American Academy of Micropigmentation (“AAM”). Through the AAM, and SPCP our trainers, and technicians have attained national board certification and can avail themselves of continuing educational opportunities to improve the quality of the Beauty Plus permanent makeup operations. The professionals engaged in the art, science and practice of permanent makeup are united within the Academy despite geographical location. We and all professionals benefit from the creation of the national and international standards for cosmetic tattoo professionals promoted by the AAM and SPCP. AAM and SPCP are the global leaders in the Cosmetic Tattoo Industry and we are proud to follow their guidelines. Our mission is to harness the best Certified Trainers and the strongest Curriculum so we may teach beginner, intermediate and advanced courses to the next generation of permanent makeup artist technicians; and to optimize every client’s natural beauty through our professional skill, artistry and advanced technology performed according to the highest industry standards in a safe and comfortable environment. Born and growing up in VN, immigrating to US with her family in 1989. She believes that she was born with talent is to do something with art. When she was a little girl, Yuni Nguyen loved drawing and painting. At 15 years old, Yuni enjoyed painting portraits of people. Unfortunately, she was unable to develop her skills in the formal artist school. All of her life, Yuni has worked in delicate and artistic endeavors with her talented hands. She has designed and made dresses, worked as a dental assistant during her college years. She graduated with BA from Cal. State Fullerton in 1995. 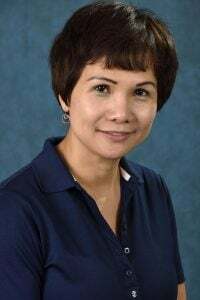 She was a founder of several successful business in different industries. One of her the most significant successful business is to operate American Language Academy since 2007. She was feeling struggle finding her own hobby interest in a productive way. Yuni has now developed a passion for permanent makeup artistry. Yuni believes everyone has their own beauty in a unique way; some has perfect beauty just need some touch up. While some has hidden beauty. Yuni will affirm your natural beauty, then contour your appearance to its full appearance. Commitment to practice according to the industry standards for her clients, Yuni tap into the beauty market with well trained, approved and recognized by different agencies. Beauty Plus is in compliance with North Carolina state, and Guilford County Health Department. © 2018 All rights reserved. Buy Beauty Pus Academy.